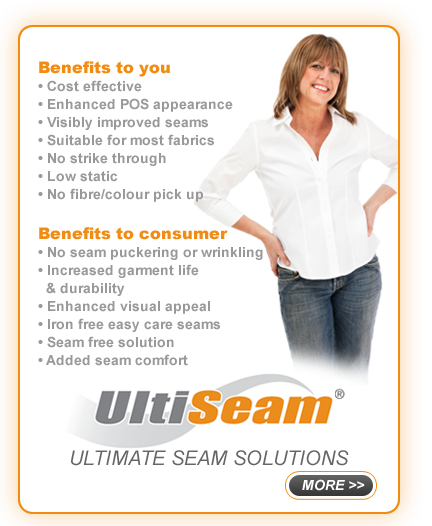 ATF (Textiles) Ltd has developed, manufactured, supplied and distributed a class-leading range of seam improving products to the apparel industry. Because we specialise in thermofusible seam improving solutions, our dedicated technical team can focus on pushing the boundaries of fusing, bonding and sealing technology to ensure that our products remain at the head of their field; the result being the UltiSeam range of products. But we do much more than simply manufacture and supply thermofusible seam improving tape and mesh to our clients in the garment industry; we work closely with customers in a consultancy role to recommend a solution that will meet their performance specification and provide the unique garment finish, look and handle they are aiming for. As a result we have built strong relationships with a number of leading high street names and with garment manufacturers; supplying some of the world’s best known clothing brands and labels.